Delhi is blessed in that it has a fantastic green cover, a resource that is far more than a purifier for the city’s polluted air and a pleasing sight to the eye. 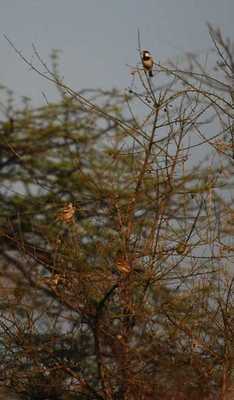 It contributes to making Delhi among the most bird-rich cities on the planet. 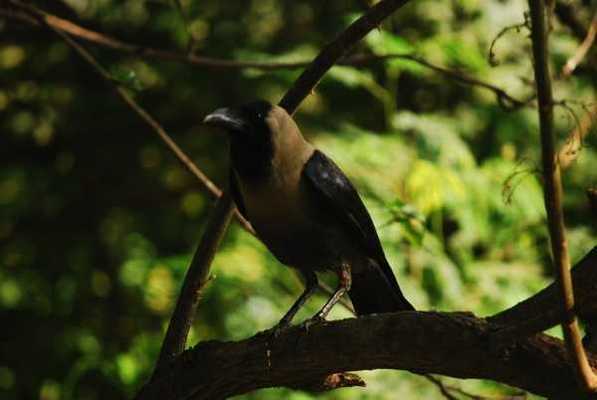 Delhi’s birds come in all shapes, sizes and colours, some living with us in our localities, others out of sight in parks, protected forests and bird sanctuaries. There are more than we think, though, that exist within close range, that can be found if you know which ones you’re looking for and where to find them. We’ll do a mix of the obviously identifiable ones with some that need a little looking, and with some clues to their behaviour to help you understand them better. The one bird you’ll never miss. This grey-liveried force of rather timid, friendly and mostly harmless birds throngs important traffic intersections all over town, where concerned members of the citizenry leave grain and water for their benefit. They also throng the domes of mosques and temples, the nooks and crannies of residential buildings, parks and offices. To put it in a nutshell, they are everywhere. They’re rather unassuming, and will readily accept grain from you if you are patient. They are also a deadly crapping unit, and the curses of many home owners and cleaning staff follow them as they relieve themselves on cars, buildings and balconies. Most importantly, though, they are birds that unite the urban landscapes of pretty much every continent. There’s another kind of pigeon in town, and one way of looking at this species is—they’re pigeons in a parrot costume. Bright green with yellow feathers on their feet, these guys dot the better-greened urban landscape, and are not too difficult to spot in many parts of south, central and north Delhi. They are best seen in the well-wooded parks, and can sometimes be seen in the company of their commoner grey cousins. Now, now, before you go, “What sparrows?! They’re all gone!”, they’re still around, though a lot fewer. 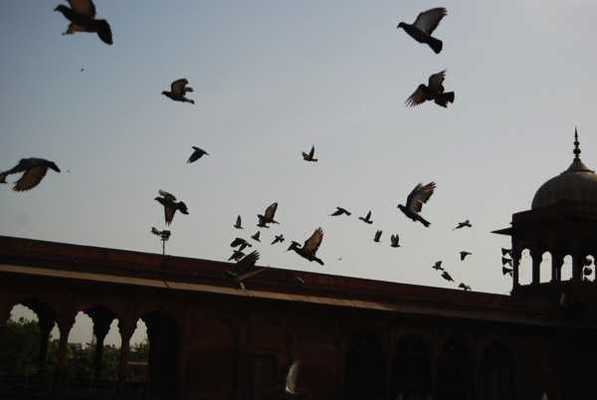 You will find them in the Ridge, the Asola Sanctuary, in Jamia Nagar, under the shadow of the Jama Masjid. Again, these are birds that exist on every inhabited continent. They’ve been pushed out of a lot of our urban areas because of habitat loss, partly due to urbanisation, and partly due to their territory being invaded by other birds. Their loss is a tragic one because for so many of us, they were the first birds we learned to identify. You can get them back, though. Nesting boxes that meet their requirements can be bought or built, and strung from balconies or placed on thick tree branches. With its habitat restored, this is a species of bird that will not take long to recover. It only takes ten minutes of looking at these guys to realise how much they stand out when compared to other birds. The house crow is to birds, what we are to primates: adaptable, intelligent, cunning and utterly without scruples. This bird suits its feeding and living to the circumstances it finds itself in, and its taste for opportunism often gives a watcher the pleasure of seeing many a prank in action. Watch as your neighbourhood crow sneaks into a house, emerging with a little something to eat or something to build its nest with. Crows will also seize the king’s share of food left out for birds and squirrels by people on their terraces. On a day when the more ‘attractive’ species of birds are in short supply, crows make for interesting watching. Read A Crow for All Seasons by Ruskin Bond to get yourself interested. There’s a sheriff in town, and it’s called a Drongo. 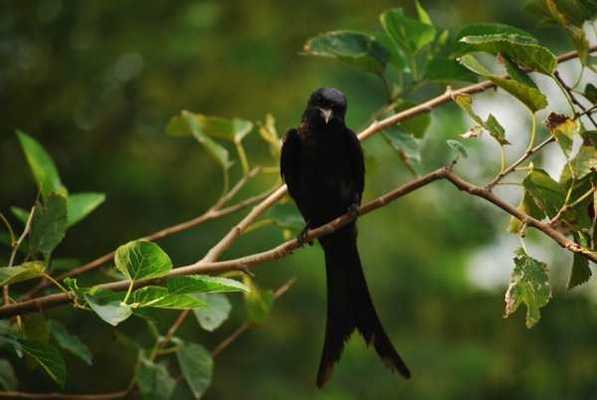 Look for this slender black bird with a long, deeply forked tail in pretty much every kind of urban location. These birds are literally known as the ‘policemen’ of the bird world, being ferocious to a point where a pair will chase away even an eagle that attacks their nest. 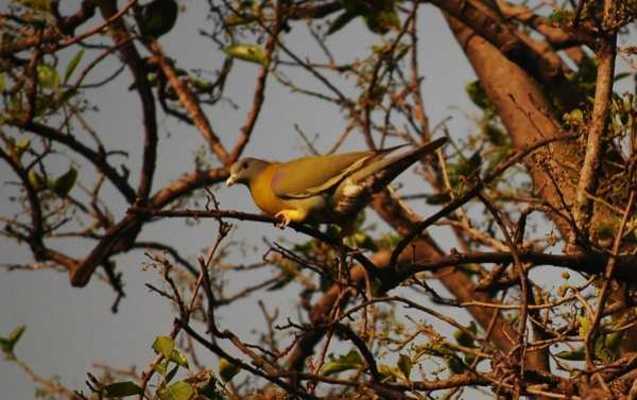 The Okhla and Asola sanctuaries are good places to get up-close and personal with these birds. Kites are distinguished from all other birds of similar appearance by their forked tails. Remember this, the next time you go “Eagle!” at a big brown bird in the city sky. With vultures driven to near-extinction, kites are the dominant scavengers of the sky. They hover over pretty much every quarter of the city, circling great heights in their quest for sustenance. They’re medium-sized for birds of prey, but are still very impressive. Kites with hatchlings to feed will also resort to hunting, and that is one of the grislier, but more fascinating sights that the fauna of the city can bring to you. These are the birds we’re beginning with. But there are many, many more. 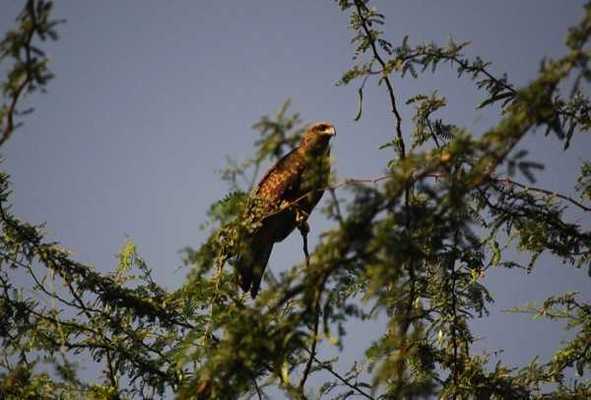 Birds of song, birds of beauty, little balls of feather that are a delight to spot, birds of the water and birds of prey. Winter is coming, and there’s no better time of year for birding. Watch this space for more! About the Author | Salman has spent his summers in a rural homestead full of birds, tame and visiting. In Delhi, he has found the perfect place for a therapeutic escape from the daily grind, and one can often find him in the city's parks and forests, binoculars and cameras in tow. While he has taken turns being a student, a TV producer, a journalist, a researcher, and now set to work in public health, his love for birds, books, nature and heritage has been a constant companion.